Wooh, smoke!!!!!!!!! what the heck happened?!?!?! Posted: Sun Mar 20, 2011 11:15 pm Post subject: Re: Wooh, smoke!!!!!!!!! what the heck happened?!?!?! CDs and grapes. Try it! Posted: Wed Mar 23, 2011 7:11 pm Post subject: Re: Wooh, smoke!!!!!!!!! what the heck happened?!?!?! Posted: Sun Mar 27, 2011 10:07 pm Post subject: Re: Wooh, smoke!!!!!!!!! what the heck happened?!?!?! Lightbulbs in the microwave. Win. Posted: Sun Jun 19, 2011 4:29 pm Post subject: Re: Wooh, smoke!!!!!!!!! what the heck happened?!?!?! Posted: Mon Jun 20, 2011 2:35 am Post subject: Re: Wooh, smoke!!!!!!!!! what the heck happened?!?!?! Posted: Mon Jun 20, 2011 9:33 am Post subject: Re: Wooh, smoke!!!!!!!!! what the heck happened?!?!?! alright i know i just posted but this is too funny. 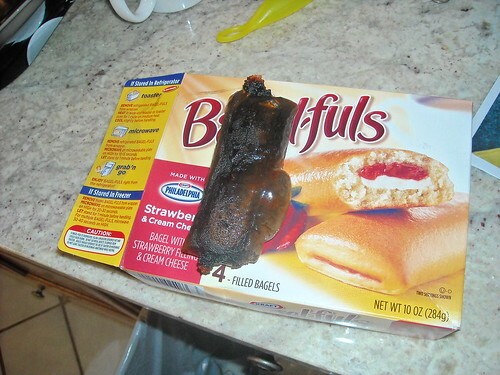 Dont you hate it when your bagel-ful doesnt look like the one on the box. hehehehehehe. Did you plan on interviewing this bagelful for Mrs. Lewis? hehehehe I think you could microwave a turkey in 15 minutes. hehehehe Ever read a pop tarts box??? 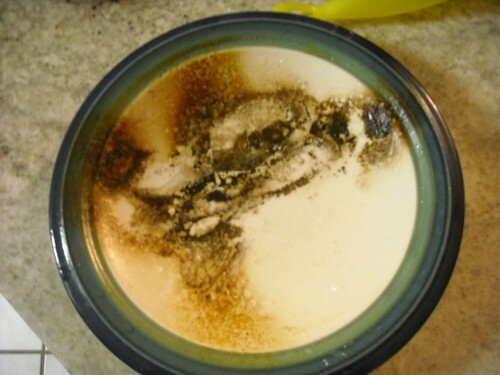 Microwave for 3 seconds. I can't make that up. 3 seconds. Unless your ogti9g9 then you just make up whatever cooking instructions you feel like following. hehehehe. Whew that was fun for me. In all seriousness though im glad everything was ok. I would not want to be your age explaining how i burned down the house microwaving breakfast. Im 99% sure i would lie lie lie lie. but glad you didnt and shared with us. Its good to able to see the funny side of things, especiallyif you can laugh at yourself.